Ryan Ranch Physical Therapy of Monterey (RRPT) is a group of experienced health care professionals dedicated to providing the highest quality of care to our patients. Our physical therapists are backed by years of experience and want to provide you with the greatest potential for recovery from your injury and/or condition. In addition to addressing your physical therapy needs, we also implement preventive care strategies to ensure a full recovery and prevention of injury/condition reoccurrence. Our treatments combine therapeutic exercise, manual therapy and appropriate modality use to provide an optimal treatment program. We are centrally located in downtown Monterey just 2 blocks up from the Fisherman’s Wharf and Dennis the Menace Park. Our convenient location allows us to take advantage of the adjacent Lake El Estero parkway to utilize for sports and athletic training. We provide a welcoming and relaxed atmosphere in which patient care is always our first priority. We are open 6 days a week (Sunday-Friday) to accommodate the various needs and schedules of our patients. RRPT specializes in orthopedic, manual and sports physical therapy. This includes, but is not limited to manual therapy, therapeutic exercise, body/postural mechanics training and sport specific exercise training. Will graduated from Loma Linda University in 1978 with a Bachelor’s degree in Physical Therapy. From 1979-2001 he assisted his sister, Carol Burger, in the start-up of the well-known Burger Rehabilitation Systems, Inc. in Sacramento. In 1993, Will completed a yearlong Orthopedic Manual Therapy certification course from Folsom Physical Therapy. 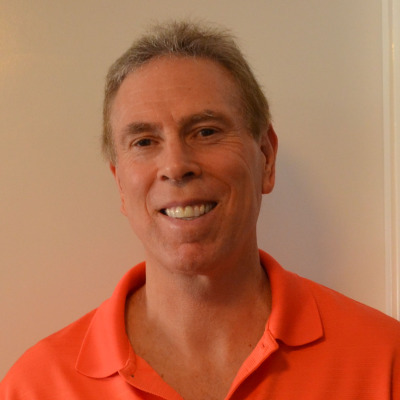 In 1996, he spent time in Sedona, AZ studying with John Barnes and also Brian Barnes in San Francisco to become certified in Myofascial Release Strategies. He has performed extensive work with Ana Padilla at Mindful movement with Gyrotonics and Pilates techniques. In 2003 Will, along with Tim and Christi Doyle, opened up an independent private practice in Monterey. He has a passion for sports performance and specialized in the treatment of spinal injuries, particularly upper cervical spine. Will has utilized myofascial/Pilates concepts to assist with normalization of neuromuscular movement patterns, which has been beneficial with sports performance and chronic pain patients. He enjoys playing golf and basketball, as well as kayaking and hiking. Tim graduated from the University of Maryland School of Medicine in 1989 and subsequently completed graduate training in manual therapy at the International Academy of Physiotherapy in the Netherlands. Tim was certified in Mechanical Diagnostic Therapy by the McKenzie Institute in 2006. Additionally, he has successfully completed a multitude of continuing education courses that have served to sharpen his assessment and treatment skills. 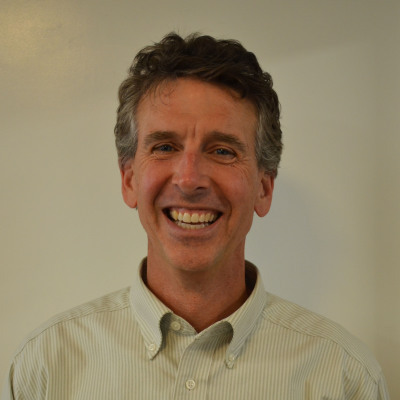 Tim’s extensive formal training has permitted him to practice in multiple settings throughout the Monterey Peninsula as well as teach Physical Therapy in Vietnam and Bhutan. He now practices in orthopedics and specializes in spinal disorders as well as foot and ankle biomechanics; including provision of semi-custom orthotics. Tim enjoys hiking, scuba diving, swimming, basketball, tennis, cycling and kayaking; all of which have resulted in some injury or another. Tim often states that he has had so many injuries that he can genuinely empathize with nearly every patient! Jason graduated in 2003 from UCC in Cranford, New Jersey with a degree in the Applied Sciences with 12 years as a board certified Physical Therapist Assistant. Jason has enjoyed working in various settings throughout his career, developing and cultivating his skill sets: such as manual therapy techniques and acute therapy. 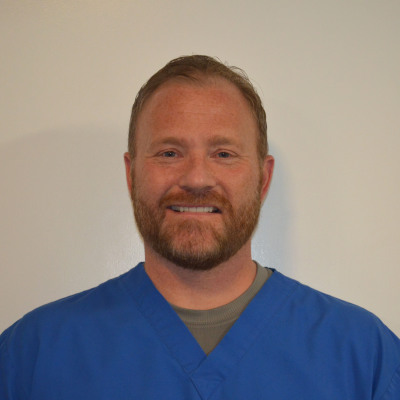 He has also enjoyed being a traveling Physical Therapist Assistant throughout the state of New Jersey and California; furthermore traveling throughout the golden state of California, Jason has obtained his open water scuba diving certification SSI, obtained in Monterey, California in 2007. One of many fervent passions Jason enjoys is traveling throughout the continental U.S. and visiting Yellowstone, Yosemite, Sequoia National Park, the Grand Canyon, as well as following the two great American explorers Lewis and Clark and the arduous trail that they blazed from St. Louis, Missouri all the way to the west coast of Astoria, Oregon. Hi, my name is Lisa Keebler, I am finishing up my Kinesiology degree at CSUMB, Following graduation I will be applying to Masters of Occuptaional Therapy programs. When I'm not at the clinic or in the librar I enjoy being outdoors, traveling, and spending time with my family and friends. 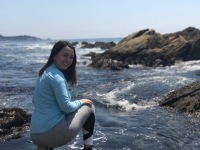 Hi, my name is Helen Suarez, I graduated from CSUMB with a BS in Kinesiology-Exercise Science where I played poitn guard for the Women's Basketball team. I am currently working on a Masters of Psychology degree. I am an ACSM Certified Personal Trainer, CPT, and work with clients at the Monterey Sports Center. Hi, my name is Caitlin Bronzan, I graduated from Whittier College with a BS in Kinesiology-Pre Physical Therapy. While at Whittier College I played goalie for the Women's Water Polo team, where we were the Conference Champions in 2015 and 2016. I enjoy going to the beach, hiking and reading a good book. I also enjoy cuddling with my dog, Bear, and drinking pumpkin spice lattes.